KEY WEST, Fla. (UPI) A temporary ban on grouper fishing will bring economic hardship onto the Florida Keys during its peak tourism season, fishermen say. The four-month ban went into effect Jan. 1 and is meant to protect the grouper fishery, which wildlife officials say has been over-fished and is now in danger. But Keys commercial fishermen and charter boat captains who take tourists on grouper expeditions say the ban will be economically devastating, The Miami Herald reported Sunday. 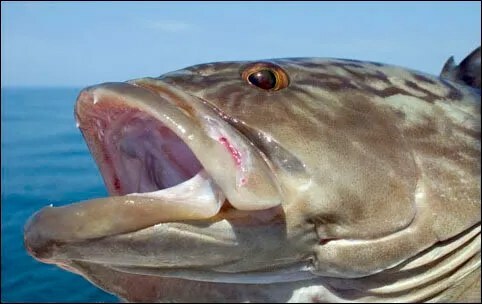 The Herald said the ban bars commercial and recreational fishermen from keeping shallow-water grouper such as gag, black, red and yellow fin — caught in federal and state Atlantic Ocean waters from North Carolina to Key West. It comes as the fishing industry is already reportedly reeling because of low demand and low prices for their spiny lobster and stone crab products. The ban on the grouper fish or any other fish for that matter is important is it has to do with keeping that species thriving! I agree with the previous poster. It is a tough choice, and a delicate balance, but like the article itself said–without the fish, there are no fisherman!